The methods used to analyze securities and make investment decisions fall into two very broad categories: Fundamental Analysis and Technical Analysis. Fundamental analysis involves analyzing the characteristics of a company in order to estimate its value. Technical analysis, on the other hand, takes a completely different approach. It doesn’t care one bit about the “value” of a company or a commodity. Technicians (sometimes called chartists) are only interested in the price movements in the market. Despite all the fancy and exotic tools it employs, technical analysis really just studies supply and demand in a market to determine what direction, or trend, will continue in the future. In other words, technical analysis attempts to understand the emotions in the market by studying the market itself, as opposed to its components. If you understand the benefits and limitations of technical analysis, it can give you a new set of tools or skills that will enable you to be a better trader or investor. In this tutorial, we’ll introduce you to the subject of technical analysis. It’s a broad topic, so we’ll just cover the basics, providing you with the foundation you’ll need to understand more advanced concepts down the road. Technical analysis is a method of evaluating securities by analyzing the statistics generated by market activity, such as past prices and volume. Technical analysts do not attempt to measure a security’s intrinsic value but instead use charts and other tools to identify patterns that can suggest future activity. Just as there are many investment styles on the fundamental side, there are also many different types of technical traders. Some rely on chart patterns, others use technical indicators and oscillators, and most use some combination of the two. In any case, technical analysts’ exclusive use of historical price and volume data is what separates them from their fundamental counterparts. Unlike fundamental analysts, technical analysts don’t care whether a stock is undervalued – the only thing that matters is a security’s past trading data and what information this data can provide about where the security might move in the future. A major criticism of technical analysis is that it only considers price movement, ignoring the fundamental factors of the company. However, technical analysis assumes that, at any given time, a stock’s price reflects everything that has or could affect the company – including fundamental factors. Technical analysts believe that the company’s fundamentals, along with broader economic factors and market psychology, are all priced into the stock, removing the need to actually consider these factors separately. 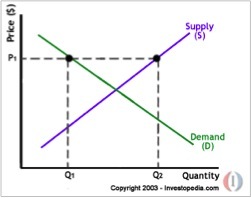 This only leaves the analysis of price movement, which technical theory views as a product of the supply and demand for a particular stock in the market. Another important idea in technical analysis is that history tends to repeat itself, mainly in terms of price movement. The repetitive nature of price movements is attributed to market psychology; in other words, market participants tend to provide a consistent reaction to similar market stimuli over time. Technical analysis can be used on any security with historical trading data. This includes stocks, futures and commodities (like gold), fixed-income securities, forex, etc. In this tutorial, we’ll usually analyze stocks in our examples, but keep in mind that these concepts can be applied to any type of security. In fact, technical analysis is more frequently associated with commodities and forex, where the participants are predominantly traders. Technical analysis and fundamental analysis are the two main schools of thought in the financial markets. As we’ve mentioned, technical analysis looks at the price movement of a security and uses this data to predict its future price movements. Fundamental analysis, on the other hand, looks at economic factors, known as fundamentals. Let’s get into the details of how these two approaches differ, the criticisms against technical analysis and how technical and fundamental analysis can be used together to analyze securities. By looking at the balance sheet, cash flow statement, and income statement, a fundamental analyst tries to determine a company’s value. In financial terms, an analyst attempts to measure a company’s intrinsic value. In this approach, investment decisions are fairly easy to make – if the price of a stock trades below its intrinsic value, it’s a good investment. Although this is an oversimplification (fundamental analysis goes beyond just the financial statements) for the purposes of this tutorial, this simple tenet holds true. Technical traders, on the other hand, believe there is no reason to analyze a company’s fundamentals because these are all accounted for in the stock’s price. 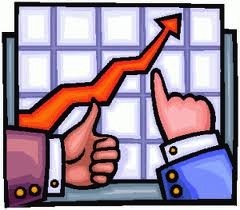 Technicians believe that all the information they need about a stock can be found in its charts. The different timeframes that these two approaches use is a result of the nature of the investing style to which they each adhere. It can take a long time for a company’s value to be reflected in the market, so when a fundamental analyst estimates intrinsic value, a gain is not realized until the stock’s market price rises to its “correct” value. This type of investing is called value investing and assumes that the short-term market is wrong, but that the price of a particular stock will correct itself over the long run. This “long run” can represent a timeframe of as long as several years, in some cases. Furthermore, the numbers that a fundamentalist analyzes are only released over long periods of time. Financial statements are filed quarterly and changes in earnings per share don’t emerge on a daily basis like price and volume information. Also remember that fundamentals are the actual characteristics of a business. New management can’t implement sweeping changes overnight and it takes time to create new products, marketing campaigns, supply chains, etc. Part of the reason that fundamental analysts use a long-term timeframe, therefore, is because the data they use to analyze a stock is generated much more slowly than the price and volume data used by technical analysts. Not only is technical analysis more short-term in nature that fundamental analysis, but the goals of a purchase (or sale) of a stock are usually different for each approach. 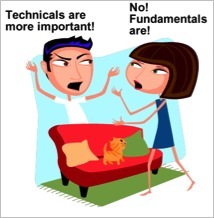 In general, technical analysis is used for a trade, whereas fundamental analysis is used to make an investment. Investors buy assets they believe can increase in value, while traders buy assets they believe they can sell to somebody else at a greater price. The line between a trade and an investment can be blurry, but it does characterize a difference between the two schools. Some critics see technical analysis as a form of black magic. Don’t be surprised to see them question the validity of the discipline to the point where they mock its supporters. In fact, technical analysis has only recently begun to enjoy some mainstream credibility. While most analysts on Wall Street focus on the fundamental side, just about any major brokerage now employs technical analysts as well. Much of the criticism of technical analysis has its roots in academic theory – specifically, the efficient market hypothesis (EMH). This theory says that the market’s price is always the correct one – any past trading information is already reflected in the price of the stock and, therefore, any analysis to find undervalued securities is useless. There are three versions of EMH. In the first, called weak form efficiency, all past price information is already included in the current price. According to weak form efficiency, technical analysis can’t predict future movements because all past information has already been accounted for and, therefore, analyzing the stock’s past price movements will provide no insight into its future movements. In the second, semi-strong form efficiency, fundamental analysis is also claimed to be of little use in finding investment opportunities. The third is strong form efficiency, which states that all information in the market is accounted for in a stock’s price and neither technical nor fundamental analysis can provide investors with an edge. 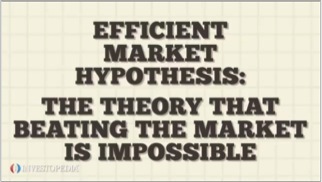 The vast majority of academics believe in at least the weak version of EMH, therefore, from their point of view, if technical analysis works, market efficiency will be called into question. Can Fundamental and Technical Analysis Co-Exist? Although technical analysis and fundamental analysis are seen by many as polar opposites – the oil and water of investing – many market participants have experienced great success by combining the two! For example, some fundamental analysts use technical analysis techniques to figure out the best time to enter into an undervalued security. Oftentimes, this situation occurs when the security is severely oversold. By timing entry into a security, the gains on the investment can be greatly improved. Alternatively, some technical traders might look at fundamentals to add strength to a technical signal. For example, if a sell signal is given through technical patterns and indicators, a technical trader might look to reaffirm his or her decision by looking at some key fundamental data. Oftentimes, having both the fundamentals and technicals on your side can provide the best-case scenario for a trade. We hope you enjoyed Part 1 of the Technical Analysis series and that you now know the basic foundations of Technical Analysis! In Part 2 of the Technical Analysis series, we will dive a little deeper into the foundations of Technical Analysts, including Support and Resistance levels. So read it now! And as always, you can learn here how you can use PinoyInvestor for short-term trading (Technical Analysis)!